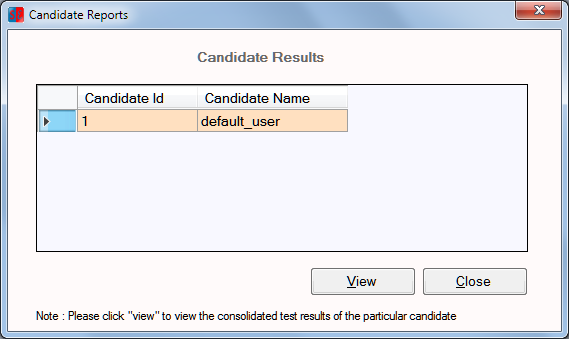 View Previous Results : To use this feature select "View Previous Results" under "Exam" menu in main window. 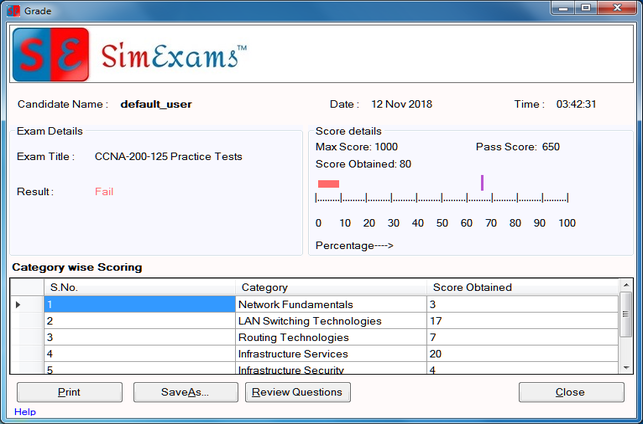 This option allows you to view previous exam results. 1. 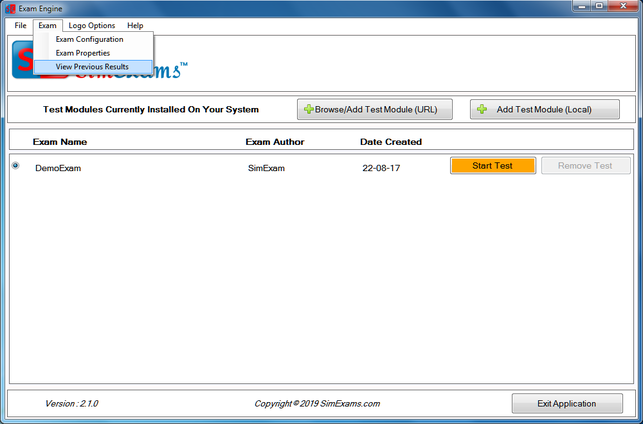 To start a Test Module in "Exam Engine" screen select the radio button for the exam and click on "Start Test" button. A new window with list of exam results will open. 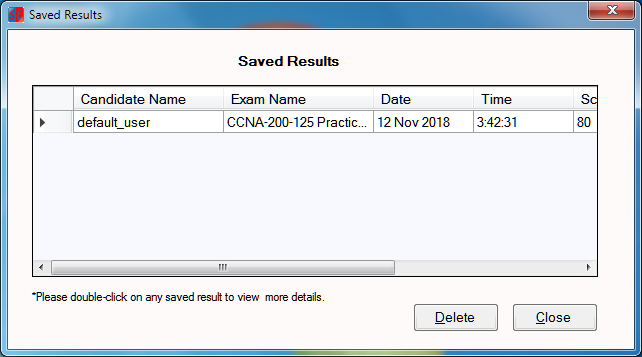 To delete the result use "Delete" button.